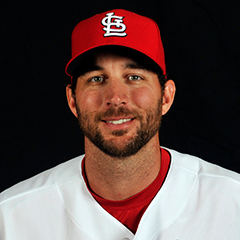 2017 Silver Slugger awards were announced this past Thursday, and St. Louis Cardinals pitcher Adam Wainwright was the National League honoree at his position. The award was Wainwright’s first for his bat rather than his arm. Wainwright is the third pitcher in franchise history to win the Silver Slugger. Past recipients were Bob Forsch, who won twice in 1980 and 1987, and Jason Marquis, who was selected in 2005. The award originated in 1980. Wainwright led all MLB pitchers with 11 RBI and seven runs scored. The right hander also topped all pitchers with at least 40 plate appearances in SLG (.452) and OPS (.731). Wainwright has often stated his goal was to win the Silver Slugger and that was achieved with his 2017 performance at the plate. In other award news, eight-time Gold Glove winner Yadier Molina failed to win that award for the second consecutive season. Reds catcher Tucker Barnhart was the 2017 winner, unseating Buster Posey. Additionally, shortstop Paul DeJong was announced as one of the three finalists for the Rookie of the Year award, which will be given out on November 13. The deadline to make a qualifying offer to free agents came and went this past Monday, and the Cardinals made one such offer to pitcher Lance Lynn. In addition to Lynn, three other Cardinals pitchers were free agents, Juan Nicasio, Seung-Hwan Oh, and Zach Duke. The Cardinals did not extend the qualifying offer to any of the three. The qualifying offer is for a one-year contract at $17.4 million. Lynn has 10 days from 4pm CT on November 16, to accept or decline the offer. Should Lynn decline, the Cardinals will receive a compensatory pick following Competitive Balance Round B in the June 2018 draft. The 30-year old starter pitched in 2017 after missing all of 2016 due to Tommy John surgery. Lynn finished the season with a record of 11-8 and an ERA of 3.43 in 33 starts. 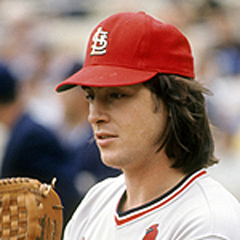 Though Lynn indicated during the season that he would welcome remaining with St. Louis, the team did not engage in extension talks with the right-handed hurler. Lynn is not expected to accept the offer, given that he has expressed the desire for a multi-year contract. The Cardinals announced this past Monday that they have given pitcher Trevor Rosenthal his unconditional release. Next season will be Rosenthal’s final year of arbitration, eligibility and he will miss all or part of it due to Tommy John surgery. The right-handed reliever was drafted by the Cardinals in 2009 and was paid a salary of $6.4 million in 2017. Rosenthal made his major league debut in 2012 and ranks sixth all time in the Cardinals franchise with 121 saves. He set the club’s single season record with 48 saves in 2015. The Cardinals could bring Rosenthal back under a different contract structure, or allow him to seek employment elsewhere as a free agent. Rosenthal had Tommy John surgery in August, and with an expected recovery time of 12-18 months, the right hander could miss all, or a considerable part of, next season. Other moves made by the Cardinals include outrighting second baseman Alex Mejia and catcher Alberto Rosario off the 40 man roster. The moves reduced the 40-man roster to 35 players. The Cardinals continue to be linked to a pursuit of Marlins slugger Giancarlo Stanton. 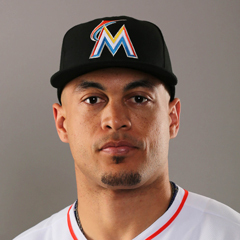 Derrick Goold of the Post-Dispatch reported that the Cardinals are “determined” in their interest in Stanton. Goold stated that the Cardinals are interested in other players on the Miami roster as well, including reliever Brad Ziegler. Conversations with the Marlins are expected to continue during the GM Meetings in Orlando, FL during the coming week. Other teams reported to be in the Stanton mix are the Giants, the Phillies and the Red Sox. Goold also mentions in his same article on the Cardinals pursuit of Stanton that the Cardinals continue to be interested in Blue Jays infielder Josh Donaldson, though recent reports suggest the Jays are unlikely to deal him. Jon Heyman of FanRag Sports believes the Cardinals may pursue relief pitcher Greg Holland and outfielder Jay Bruce. Holland has been mentioned previously as someone in whom the Cardinals are interested. Heyman’s report concerning Bruce is the first mention of any link to the outfielder. 11/6 The Cardinals activated RHP Alex Reyes from the 60 day disabled list. 11/6 The Cardinals sent 2B Alex Mejia outright to the Memphis Redbirds. 11/6 The Cardinals sent C Alberto Rosario outright to the Memphis Redbirds. 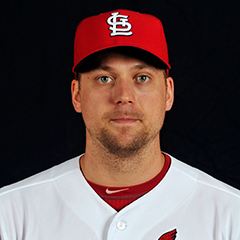 11/6 The Cardinals released RHP Trevor Rosenthal. There is no injury news to report. 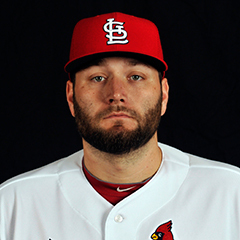 It was announced on Monday of this past week that the Cardinals have made a qualifying offer to pitcher Lance Lynn. The qualifying offer is for 1 year, at a salary of $17.4 million dollars. Lynn has 10 days to make a decision whether to accept or reject the offer. Such decision by Lynn must be made prior to 4:00 pm CT on Thursday, November 16. If Lynn rejects the offer, the Cardinals will get a draft pick as compensation, a pick that will occur after Competitive Balance Round B in next year’s June draft. The Cardinals did not make qualifying offers to any of their other free agents. November 20 is the deadline for teams to finalize their 40-man rosters for the upcoming Rule 5 draft in December. Look for movement to and from the Cardinals roster between now and November 20. That movement could include trades, as well as outrighting or releasing of existing 40 man players. The GM Meeting begin this week in Orlando, Florida, running from Monday through Thursday. It is expected that talks concerning a trade for Stanton, as well as others will occur during these meetings. Last week, the history segment focused on the 1959 Cardinals. This week, I jump ahead two decades to the 70s and showcase the 1978 club. The 70s, like the 50s, were an indifferent decade for the franchise. The team finished no higher than second in three seasons during the decade, and as low as fifth out of six teams in two more years, including 1978. The 1978 Cardinals finished the season with a record of 69-93, 21 games back of the first-place Phillies. The team had three managers during the season. 1978 began with Vern Rapp as skipper. Rapp had been the manager for the entire 1977 season, and was very unpopular with his players. After a seven game losing streak early in the 1978 season, Rapp was fired on April 25. Rapp was succeeded temporarily by coach Jack Krol for two games, then former Cardinals third baseman Ken Boyer managed for the remainder of the season. Boyer remained manager for two more seasons. The general manager for the 1978 Cardinals was Bing Devine, who was fired at the end of the season. The Opening Day starters were Lou Brock (LF), John Denny (SP), Keith Hernandez (1B), Jerry Morales (RF), Ken Reitz (3B), Tony Scott (CF), Ted Simmons (C), Garry Templeton (SS), and Mike Tyson (2B, not the boxer). The longest losing streak during the season was 11 games, from May 12-23. The longest winning streak was five games, from August 5 through a doubleheader on August 8. The game with the highest winning margin was a 12-2 defeat of the Expos on April 26. The worst game was a 12-1 drubbing by the Braves on June 13. The team’s best month that season was August, when they went 18-11. Their home/road splits were 37-44 at home and 32-49 on the road. First baseman Keith Hernandez won a Gold Glove. One notable event not involving a Cardinal was a no-hitter pitched against the Cardinals on June 6 by Cincinnati Reds pitcher Tom Seaver. It was the only no-hit performance of Seaver’s Hall of Fame career.